Is it time to get your life back in order, Milford? Call it Spring Cleaning. Call it a Hard Reset. I like to call the small and simple tasks cling-ons. These are things like refill a prescription, change your furnace filter, get your oil changed, replace the lightbulb or make a dental appointment. If you’ve been pushing dental work onto the back burner, maybe it’s time to just get it out of the way and move on to your other tasks. Call 513-248-8848 to set up a consultation. 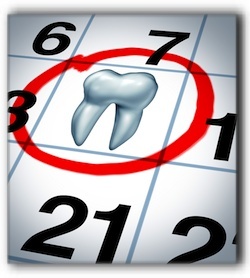 Once and for all determine your dental needs and create a manageable, fabulous, all-encompassing plan. Dr. Timothy Kitzmiller strives to provide exceptional service to our incredible patients in Milford, Ohio. At your consultation feel free to ask about veneers, implants, invisible braces, bridges and all things dental. We answer cosmetic dentistry questions all day long and Dr. Kitzmiller knows how to clearly explain the pros and cons related to various treatment plans. Since 1988, Milford patients have enjoyed having Timothy J Kitzmiller DDS nearby, ready to provide cosmetic dentistry, teeth whitening, and dental implants. Move through your to-do list today – change your oil, check. Replace that lightbulb, check. Make a dental appointment, check. It feels great.